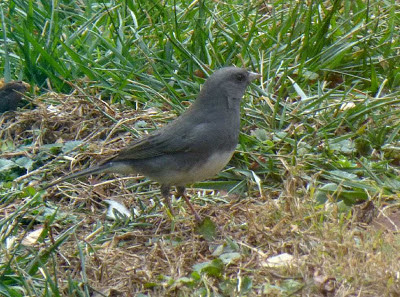 A sure sign that winter is coming to our neck of the woods is the arrival of the “slate-colored” Dark-eyed Juncos, or just Juncos for short. 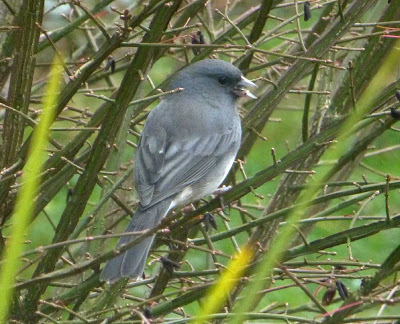 Since he’s an entertaining little bird who typically shows up in December, we’re giving the Junco our December spot in our 12 Months of Birding at the Inn series. Technically a year-round resident of the Appalachian Mountains, the round, robust little Juncos spend their summers at higher elevations, for example, along the Blue Ridge Parkway and Mt. Mitchell State Park, and then take a short migratory trip to lower elevations when the weather gets very cool. They like to winter in a lot of areas of North America, so watch for this member of the sparrow family if you put out birdseed. and other birds. They’re really fast and really fun to watch. One cool aspect of a Junco is their white outer tail feathers, which are a striking contrast against their gray/brown bodies when they fly. According to the Cornell Lab of Ornithology, Dark-eyed Juncos will nest “in a depression or niche on sloping ground, or amid the tangled roots of an upturned tree.” In the summertime along the Blue Ridge Parkway, we’ll often see flocks of Juncos hanging out around all the twisty rhododendron. 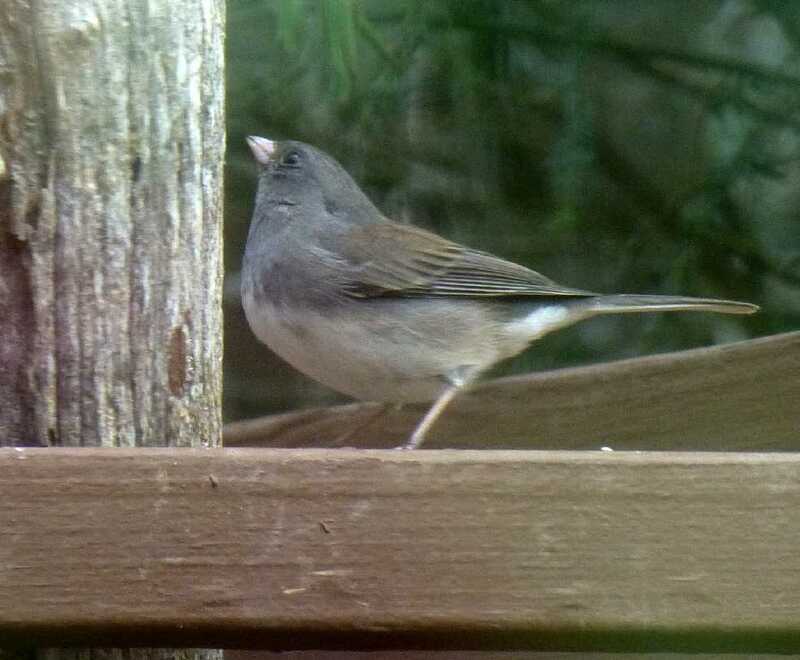 But if you’re our guest in the wintertime at the Inn on Mill Creek, be sure to keep an eye out on the ground and under the birdfeeders for the flashy Junco — they like to entertain guests during breakfast. This entry was posted in Uncategorized and tagged 12 Months of Birding at the Inn, birding, Winter by Inn on Mill Creek. Bookmark the permalink.